A University of Malta-led EU project worth €2.5 million has the potential of reducing Malta’s water consumption by between 24 and 30 per cent, which is the total amount used for the flushing of toilets. Called Micro Watts, the project deals with the treatment of so-called greywater – the relatively clean waste water from baths, sinks, washing machines and other kitchen appliances – and re-using it for toilet flushing. It aims to treat greywater using surfaces that have specially developed coatings that deploy solar energy to kill the bacteria in the water. The project will combine the expertise of academics and industry in a bid to ease water problems common to Malta and Sicily. 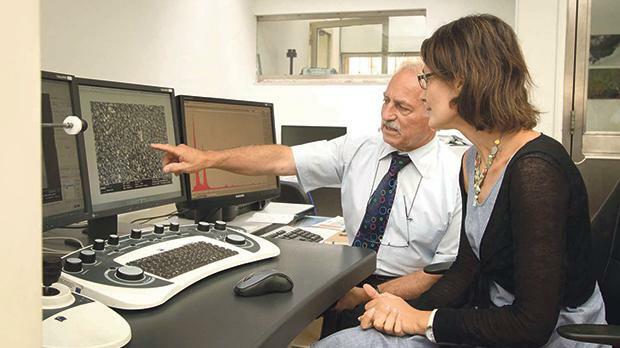 Both the University of Malta and Consiglio Nazionale delle Ricerche in Catania are well-versed in materials which, when radiated by solar energy, emit components that help break down bacteria. Meanwhile, the Malta College of Arts, Science and Technology (Mcast) and the University of Catania both have biological and chemical labs to test the quality of water. The project’s industrial partners, Econetique and Plastica Alfa, specialise in renewable energy technologies, microsystems and the development of innovative polymeric products for water management. The project’s first step will be identifying polymers and surfaces that can best be used to treat water. Tests will be carried out to see their effectivenes, while biological tests will be carried out on the treated greywater. Econetique and Plastica Alfa will, in collaboration with other partners, design and build two standalone micro solar water treatment systems, one for use in a household and another for a small firm. 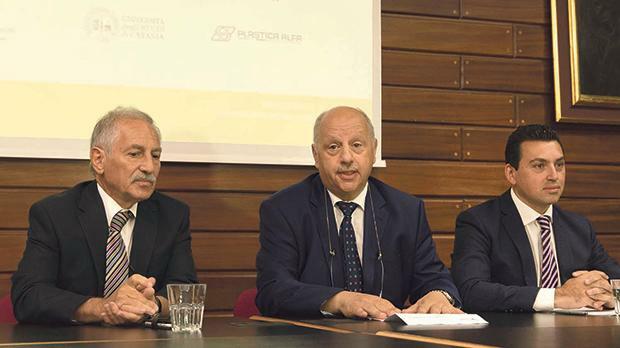 The project was launched at a conference held at the University of Malta in the presence of Parliamentary Secretary for European Funds Dr Aaron Farrugia and University of Malta rector Prof. Alfred Vella. Prof. Maurice Grech from the University of Malta is the project leader, supported by Dr Stephen Abela from the Department of Metallurgy and Materials and Dr Paul Refalo from the Faculty of Engineering’s Department of Industrial and Manufacturing Engineering. Project leader Prof. Grech discussing the suitability of one of the coatings with Dr G. Impellizzeri from Consiglio Nazionale delle Ricerche in Catania. Dr Farrugia said that under the 2014-2020 Italia-Malta programme, 15 projects involving 32 Maltese beneficiaries have so far been selected for €9 million worth of funding. All the projects are aimed at reinforcing cross-border sustainable growth with a focus on research and innovation, fostering competitiveness of SMEs and protection of environment. The project is co-financed by the Interreg V. A. Italia-Malta programme and was ranked first among over 80 proposals submitted to tap EU funds. Prof. Vella also highlighted the importance of these funds for the University’s researchers and its students. Prof. Grech said it was hoped that such cross-border collaboration at a high level of research would trigger the development of innovative eco-products and services. “In the long run, both our carbon and water footprint will be reduced while reaping a better harvest from natural resources,” he said.